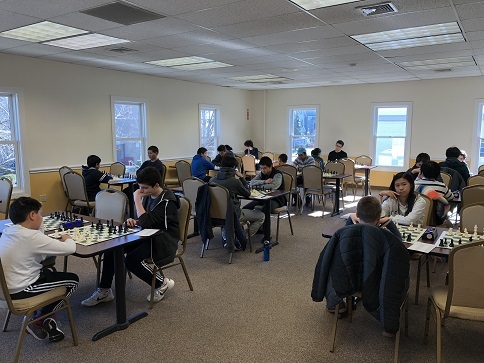 This Saturday's Quads hosted a total of 28 players, making a total of 7 sections. 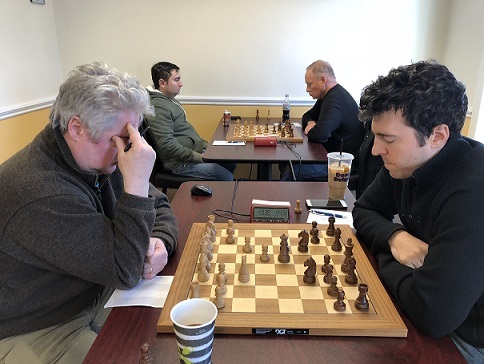 In the first section, Leif Pressman earned a perfect score of 3/3 total points, securing him the top spot. 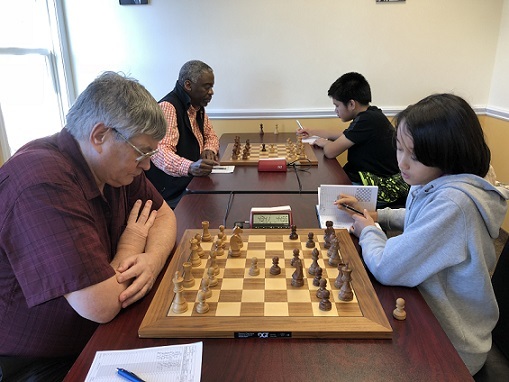 The second section had a rare four way tie, Uri Moon-Rosha; Melvin Patrick, Leo Bykhovsky, and Luis-Jaime Casenas each earned 1.5/3 total points. The third section was won by Ethan Cushman with a solid 2.5 points. In the fourth section, Julian Wang took home gold, earning a perfect score of 3/3 total points. Jason Sunshine earned a perfect score of 3/3 total points, securing him the top spot in his quad. In the sixth section, Tim Liu earned a total of 2.5/3 total points, giving him first place. Lastly, Aaron Kuo and Paul Evans tied for first place in the seventh section, each earning 2/3 total points.